The U-PLEX T Cell Combo (NHP) contains 12 biomarkers grouped together for ordering convenience. To learn more about the advantages of U-PLEX assays click here. 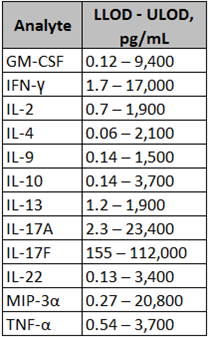 Calibration curve accuracy and precision for each analyte in the U-PLEX T Cell Combo (NHP) were assessed in multiplex format. Representative lower limits of detection from those assessments are presented below. Description - T cells play pivotal roles in immune responses including fighting various infectious agents, regulating immune cell functions, recognizing and combating cancers, and are often involved in autoimmune disorders such as arthritis, Crohn’s disease, and asthma. There are many subpopulations of T cells that perform specific functions. These include T helper Th1, Th2, Th9, Th17, Treg, and NK T cells. 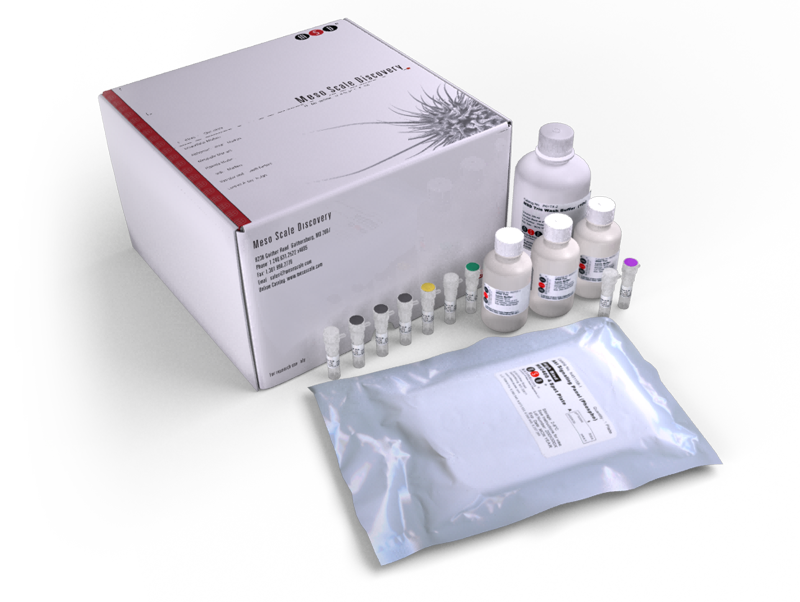 This kit is designed to measure proteins secreted by each of these subtypes to indicate their relative activity. Disease Focus/Application Area - Infections, autoimmune disorders, and cancer.